Are you headed to Tokyo? Congratulations, you will be spending 50% of your commuting time on a train! Just kidding. Well, half-kidding anyway. 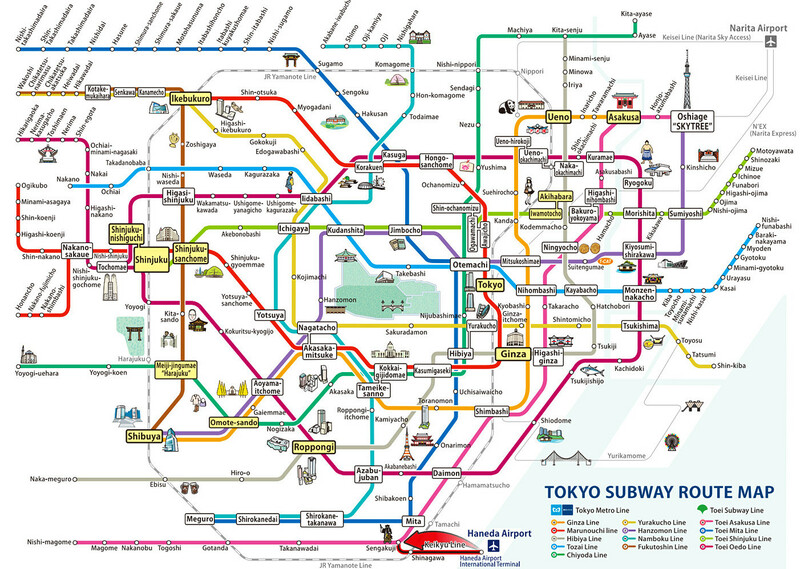 Public transportation in Tokyo is really efficient but is quite complex and the first-time visitors might get overwhelmed by the colorful subway map showing more than 10 lines tangled like a maze. If you’re planning your first trip to Tokyo, don’t panic just yet! I’m going to give you a quick ’n easy rundown of what you need to know to make your way around the city. I promise you that after a few trips you’ll be whizzing through gates and navigating stations like a pro! The subway lines and the JR train lines are the most convenient for moving around central Tokyo. They’re spotless, quiet and nearly always on time, so we will concentrate our focus on them. 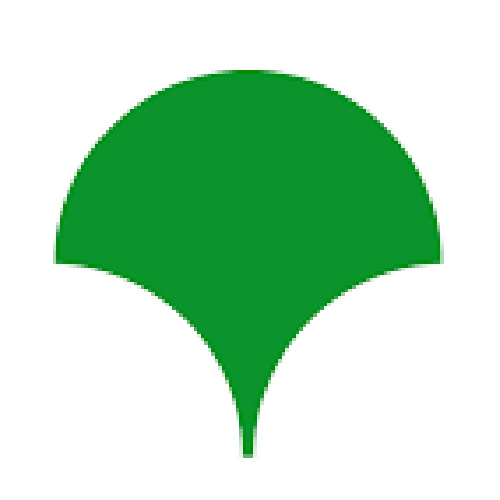 Japan Rail controls two of the most useful train lines, the above ground Yamanote (loop) and Chūō (central) lines. Tokyo’s subway network is operated by two main companies, the Toei Subways with four lines, and Tokyo Metro with nine lines. The map below shows Tokyo’s 4+9 subway lines and the JR lines that are most relevant to people who travel within central Tokyo, and includes a few touristic spots too. Here’s the PDF version. If you’re a trip planning geek like I am you may have already circled the places you want to visit on a map. If so, awesome – this means you already have an idea of where to even start looking for the closest stations. If not, why not get started? Take a look at my last article on 13 Cool Things To see and Do in Tokyo. Anyway my suggestion is to print a copy of the system map and study it. Trains and subways in Tokyo generally run between 5:00am and 1:00am, though some run throughout the night during the New Year’s Holiday on January 1-3. Trains are freakishly punctual and run every 3 minutes during peak hours, and every 10 minutes or less in the early morning and late at night. Trains and subways in Tokyo can get extremely crowded during rush hour and at the end of the night when they stop running. Time your journey between the hours of 10am and 5pm, however, and you’ll find plenty of seats. When planning your route, keep in mind that transfers between lines can sometimes take a while, you may also have to walk 1/3 km or more between platforms. There’s a reason so many people in Tokyo look fit! All train stations in the city have automated ticket gates: feed the ticket in the slot, but make sure to grab it when it pops up and keep it, because you’ll need the ticket for the exit gates. If you lose your ticket, just tell the station attendant where you started your journey. Pass cards will also need to be swiped both on the way in and on the way out, and the digital screen on the machine will tell you how much money is left. Stations in Tokyo are sign-posted in English and you’ll also find exits and transfer routes all well marked. Most train stations have multiple exits. Check out for the bilingual Japanese-English station maps which are usually outside the ticket gates, they show which exits are closest to major area landmarks: finding the right one for your destination can save you LOTS of time above ground! At all stations tickets are purchased from vending machines that accept coins and bills, but not credit cards. Fares are determined by how far you ride, so you’ll need to select the right fare for your destination. These are usually noted on a fare chart or a map above the ticket machines (often only in Japanese). If you need help purchasing a subway ticket just press the “help” button, a subway worker will literally pop out of the machine to assist – I mean literally. You should Google it. So funny! Anyway, a huge variety of day passes is available for the Tokyo area, and you should definitely think about buying one. In my opinion the best option for a tourist in terms of price and convenience is the “Tokyo Subway Ticket“: you have unlimited use of all subway lines (Toei and Tokyo Metro) on one, two, three calendar day respectively for 800 yen, 1200 yen, 1500 yen. The pass is sold at Narita Airport, Haneda Airport and electronic stores in central Tokyo to foreign tourists only (passport required). Unlimited use of all subway lines (Toei and Tokyo Metro) on one calendar day. The pass only pays off if you use the subways excessively. The pass is not valid on JR trains. Unlike the lower priced Tokyo Subway Ticket, this pass can be purchased at the subway stations in central Tokyo. Unlimited use of all subway lines (Toei and Tokyo Metro) and JR trains in the central Tokyo area on one calendar day. It is also valid on buses and streetcars operated by Toei. Way overpriced. Unlimited use of the nine Tokyo Metro subway lines, but not the four Toei subway lines and JR trains. A regular one day pass costs 600 yen. A tourist version for two consecutive days is available to foreign tourists only for 980 yen at Narita Airport and Haneda Airport. The regular one-day version is available through ticket machines at Tokyo Metro stations. 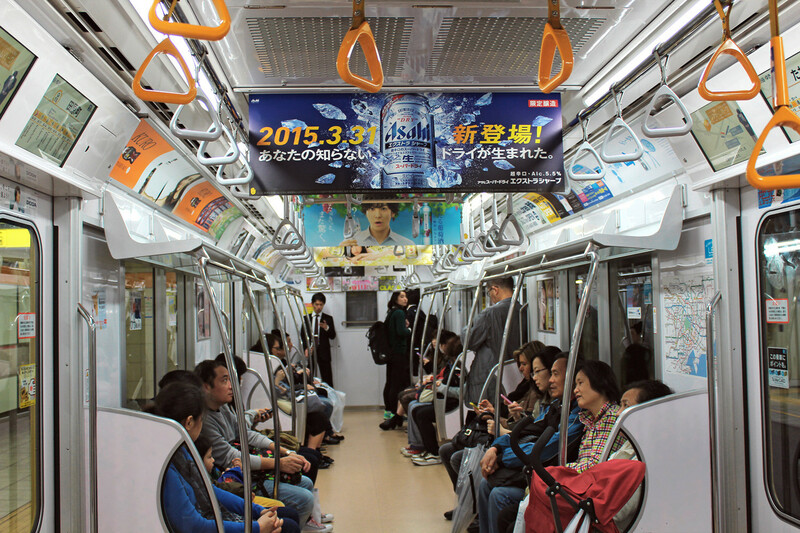 Unlimited use of the four Toei subway lines, buses and streetcars on one calendar day. It is not valid on the nine Tokyo Metro subway lines and JR trains. The pass is available at ticket machines at Toei stations. 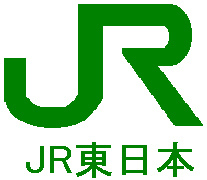 Unlimited use of JR trains in the central Tokyo area on one calendar day. The pass is available at vending machines at JR stations. Another options are Prepaid IC cards, they don’t give you any discounts over single tickets but they provide convenience as you can ride virtually any train or bus in Greater Tokyo with just a simple swipe over a card reader. Without exaggeration, the Japanese are masters of queuing, they form perfectly neat lines on the platform where the train doors are expected to open. That said, once you’re in, you need to be quick and agile if you want to score a seat! Eating, loud conversation and talking on the phone on the train will earn you dirty looks. Texting and falling asleep on the shoulder of the stranger next to you are okay. Having a navigation app on your mobile is vital. There are many apps out there that will help you find the best route that matches your requirement whether that is the fastest or the cheapest. 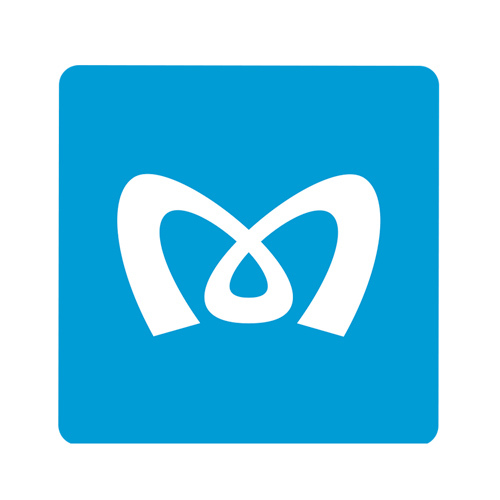 The official app provided by Tokyo Metro is free and can be used offline. 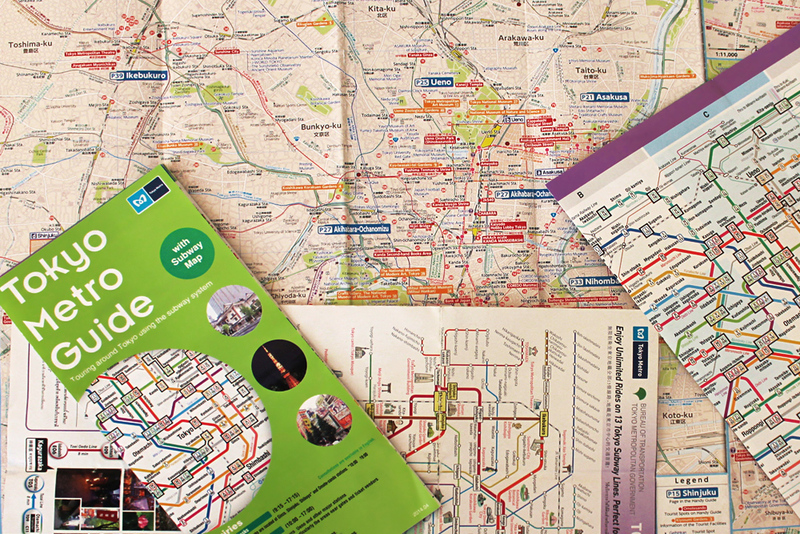 Do you have any tips or doubts about this guide to Tokyo’s public transport?